Check out these cool patterns from Kiddimoto. 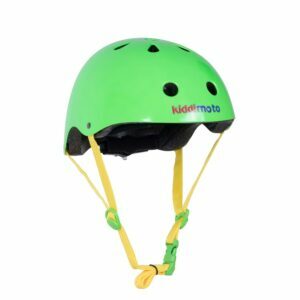 Protect your child’s head while biking with some added style. Great helmets in a wide variety of sizes and colors for kids. Best yet, they won’t break the bank. Together with the enduring and impact-resistant molded construction; the Uvex Quattro junior ensures the highest safety standards in biking.